There’s nothing like the feeling of relaxing in the sun after a refreshing dip in the sea on your yacht or catching the breeze as you sail on to your next destination. Yet, it’s important to remember to keep yourself protected from harmful sun rays, even on a cloudy day. 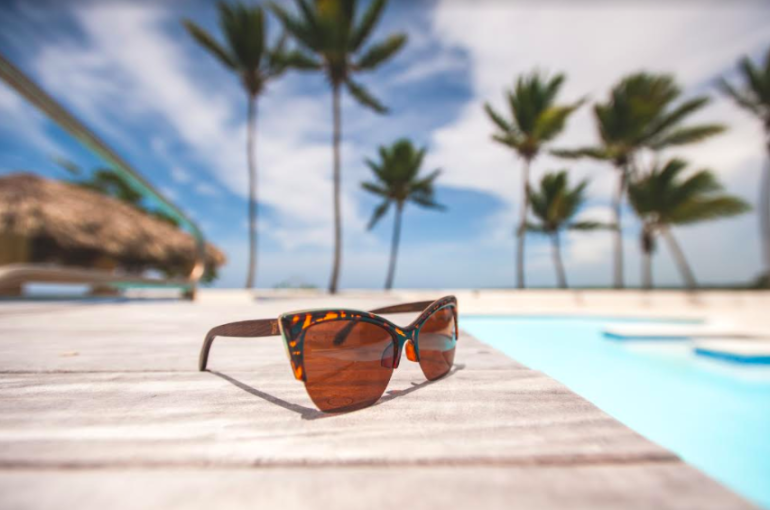 That’s why we’ve spoken with Ana Caracaleanu, from the sustainable sun wear company Amevie, who gave us some great tips on choosing the right sunglasses for your next boat holiday. 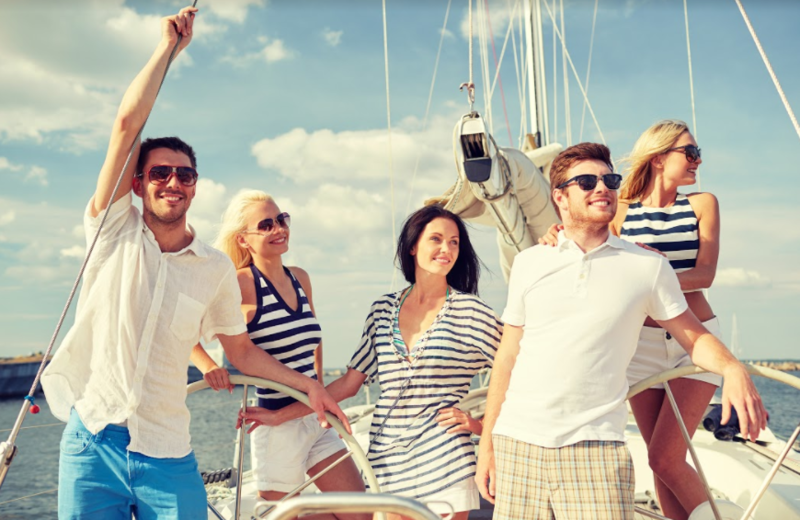 All sailors know about the importance of sun protection, but why are polarized glasses and those with UV protection so important when you are out at sea? Sun protection is imperative for sailors, from using UV blocking clothes, high SPF sunscreens to the proper eyewear gear. When it comes to sunglasses, choosing the right pair is more than just about looks, it is about: tint, UV blocking rating and polarization. Polarized lenses reduce glare ( basically the light reflection off the surface of the water). When you are sailing, sometimes, you rely on visual guidance to dock or navigate tight channels. With polarized lens sunglasses you can better see rocks and the reef under the water, and that’s the main reason why they make the better choice. What kind of design or style would you recommend for sailors to ensure comfort and maximum protection? Are tinted glasses important? I always recommend going for a classic design that you know will fit well, such as the wayfarer. The color of your lenses is also important, as certain colors are better for different ties of the day . for example grey lenses are very good for bright light as they simply darken your sight, where as brown lenses are god at sunsets when the light is softer and you need more contrast. The reflective lenses are good because they give you a crisper visual, especially those that reflect the color blue (blue in the light spectrum is the hardest color for your eyes to focus on). We usually recommend either the Laguna Blue or Laguna Black for sailors. As sailors and water sports enthusiasts, we are all wondering, how can you prevent salt water and sand from damaging your glasses? That’s a great question! 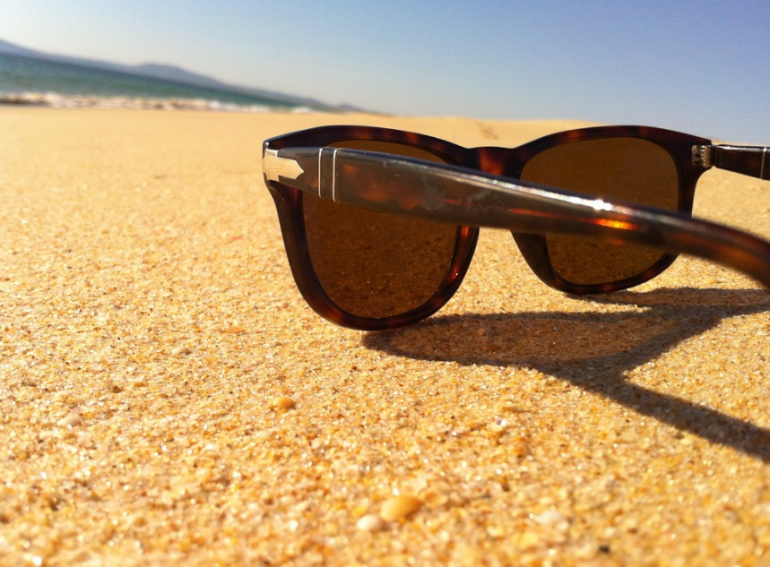 While our sunglasses are waterproof and sweatproof, they still need care and protection from these elements. First off, when not used, always clean them and put them in their protective case. If you get them in salt water, rinse them in cold tap water and then let them out to dry. Sand will always find its way onto them, and the micro particules may get stuck on the lenses, be careful when cleaning them with a cloth, as they can scratch your lenses. What I recommend is try to blow them away before applying pressure with your cleaning cloth. Amevie is an interesting lifestyle and sun-care brand that’s both sustainable and trend-setting, so what’s the story behind the name, Amevie? Amevie is a combination of my grandma’s name and my husband’s grandma’s name, as we loved them both so much, I came up with this name to honor them. Also the name has latin roots and it means “love life” which is all that this brand represents, loving your life in the sun. 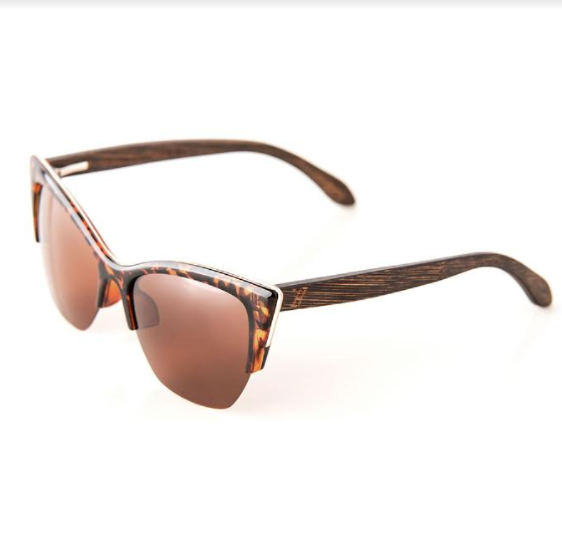 Why did you choose bamboo as the material for your sunglasses? Bamboo is a sustainable natural resource, and harvesting it does not damage ecosystems like the deforestation of hardwoods does. The sunglasses are much lighter, and fit more comfortable on any face shape, which is very important when you have to wear them for lengthier times. Your company has partnered with an incredible charity called Seva Canada, could you tell us a little more about what they do? Seva Canada is a non-profit that runs programs to provide hundreds of thousands of people in the developing world with access to eye care. For each pair that we sell, we donate funds to Seva Canada and they fit a child in need with prescription eyewear. So there you have it, another way to help protect yourself while enjoying the sun on your chartered yacht and helping the planet as well as those in need. For more tips on what sustainable and eco-friendly products to pack for your next boat holiday, check out our blog post here.